Personally, I find the compact, all-in-one style very appealing. Less for a newbie to absorb and less for an experienced user to keep track of. Yes, it does require a template engine and a database wrapper to be useful, but the core is still extremely lean. I'm very curious to see how web.py grows. Will users demand built-in ORM and support for other databases? Templating alternatives? Form validation? Admin tools and auto-generated CRUD? And as those things get added, will web.py asymptotically approach Turbogears, or Django, or ... ? It's conventional to sigh and groan when a new Python web app framework is released. 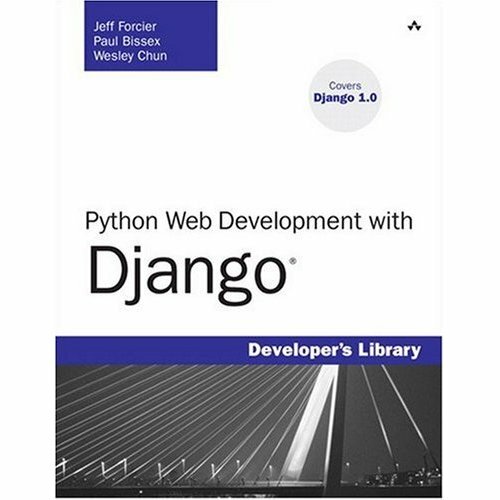 I don't know that I'll use web.py for anything beyond the obligatory test run, but I know that Aaron motivated some good little changes in Django while he was wrestling with it and birthing web.py. In the end I think that whatever small amount of energy dissipation web.py causes will be more than offset by the ideas that it (by which I mean Aaron, really) injects into the discussion of what a web framework should be and do. Sorry for the off topic post, but I really dislike the way you use strikethoughs to denote visited links. Thanks for the news about web.py! Noted -- I may go back to color change instead.